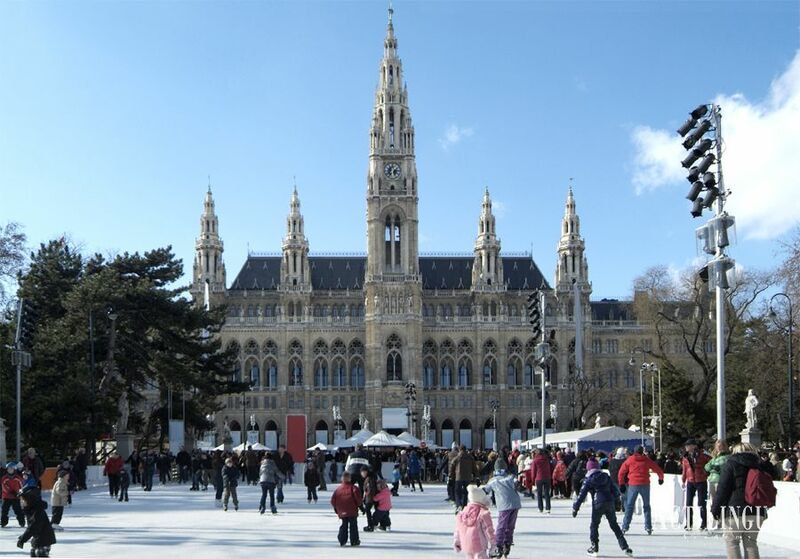 Learn German & Experience Vienna! 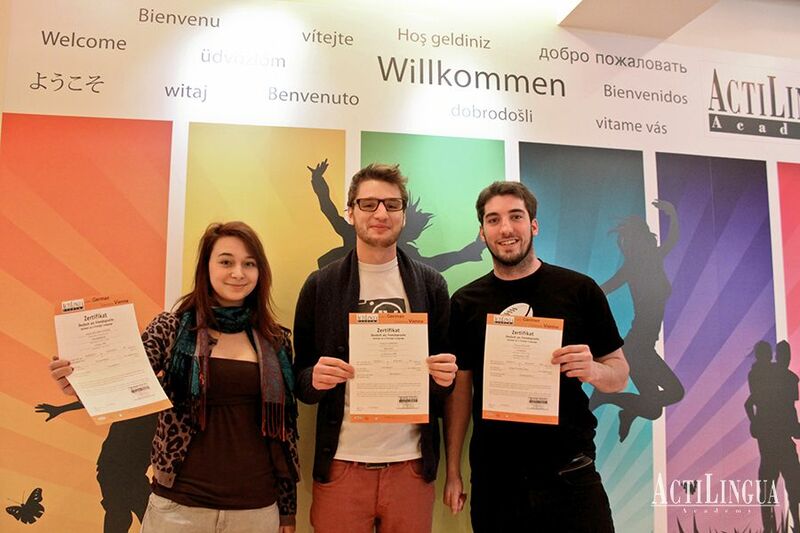 German language courses are available for different interest and ability levels, from beginner to advanced courses. 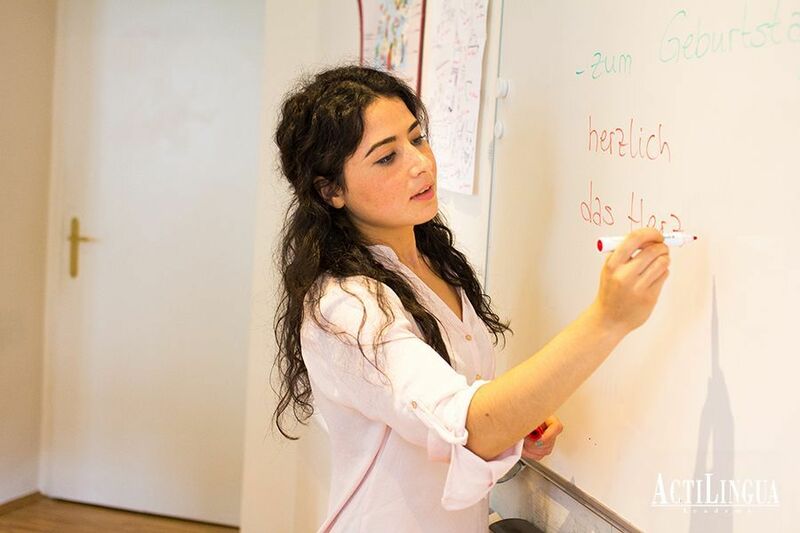 Our German classes are held with a variety of teaching methods to provide you with all necessary skills such as writing, speaking, listening and reading. 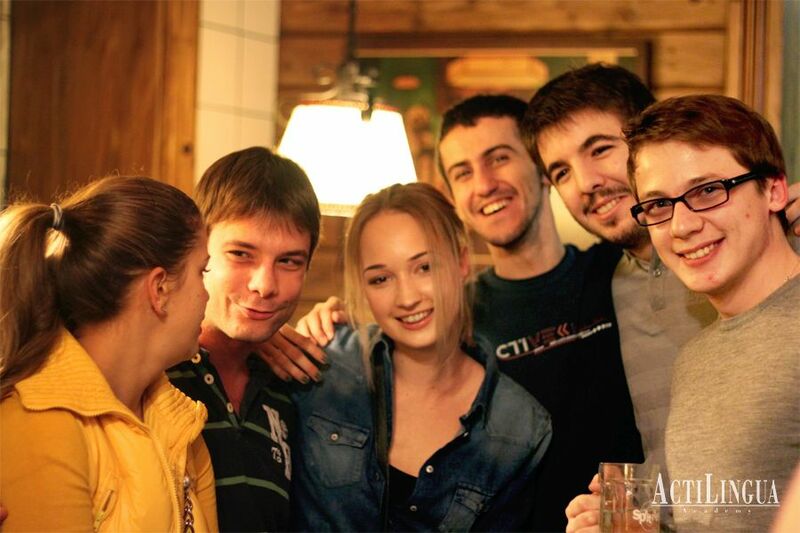 They are taught exclusively by German native speakers at various course levels in small groups. 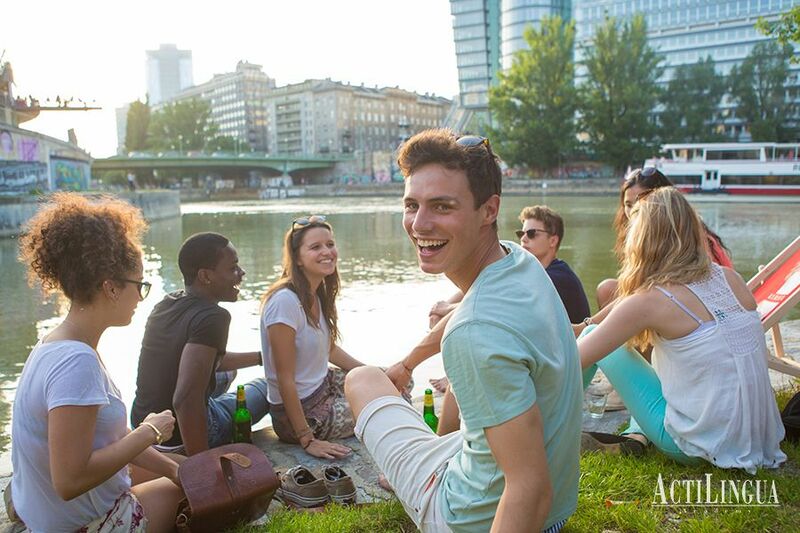 Whether participants learn German as expats or combine the course with a vacation in Vienna - We have the perfect course for YOU! To book your place on a program, the non-refundable application fee of 40 EUR must be paid. Fees can be paid in USD or by credit card in any currency upon request. Take advantage of this unique opportunity to combine a German course with a day&apos;s skiing or snowboarding on weekends in your winter holidays (Dec-March). 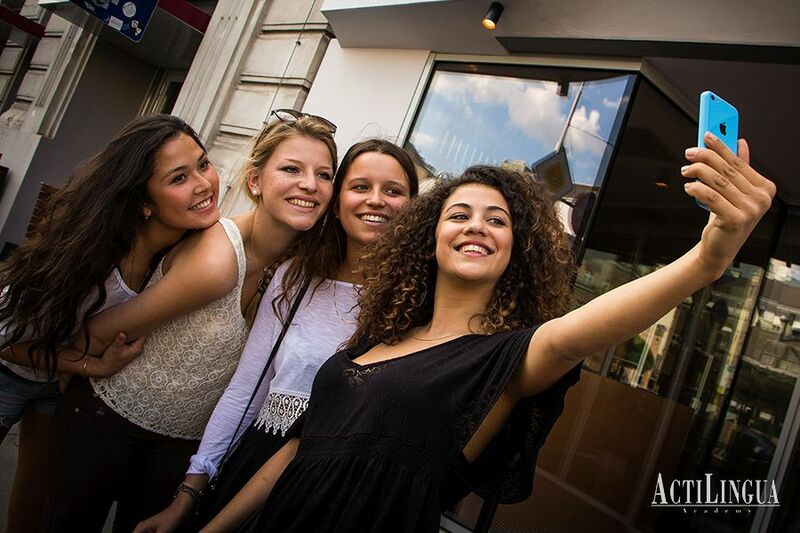 Our language school is the perfect place to learn German and discover the beautiful city of Vienna, Austria. 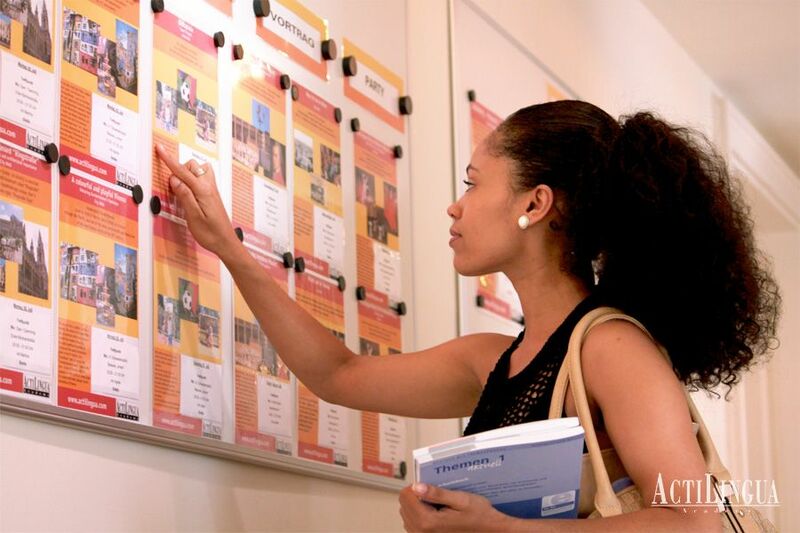 Explore the different courses and lessons we have to offer and learn to speak German in no time! Centrally located in Vienna&apos;s embassy district; opposite "Schloss Belvedere"
Residence, Host-Family, Student Hourse or Flat share. How do you like to live? 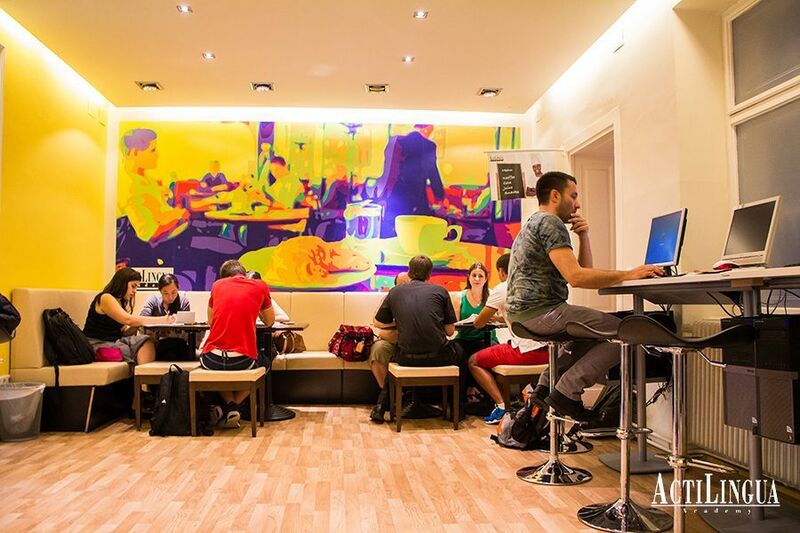 A relaxed atmosphere is conducive to learn and speak German! 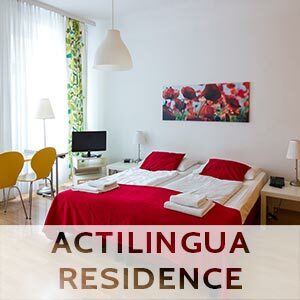 We organize accommodation such as apartments and rooms at our school-owned Residence, at carefully selected Austrian host families, in basic student apartments or at international student houses. Accommodation standards are checked by us regularly to ensure that you enjoy the time you live in Vienna! 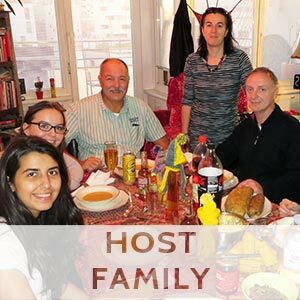 Accommodation in a host family is definitely the best way for practising your German and getting to know Austria and its people outside the classroom. You stay with a host family in their own home. Host families can be childless couples, parents with schoolchildren or older people whose grown-up children have already left home. 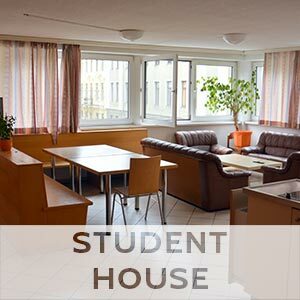 You are accommodated in a well maintained shared flat, shared with other students. 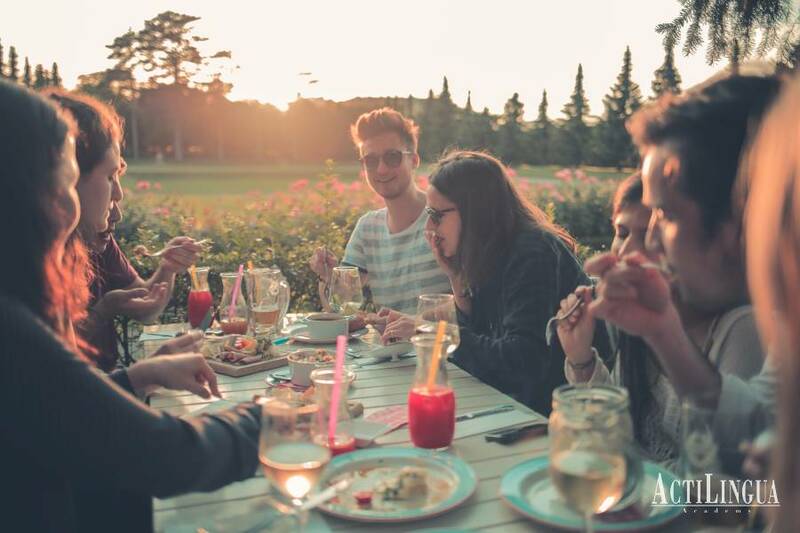 Students have their own single or twin room in a modern, urban and favourably located Student House with a very nice in-house restaurant. School and city centre are accessible in 15-25 minutes by public transport. 1.Choice of Standard Category, from 151 to 240 EUR - apartments are shared with other students, 2-5 students share kitchen and bathroom. 2. Superior Category, from 271 to 385 EUR - own apartment for 1-2 persons, with shower/toilet and kitchen. Activities: Learn to speak German and have fun! Our school stands for much more than simply learning to speak German. 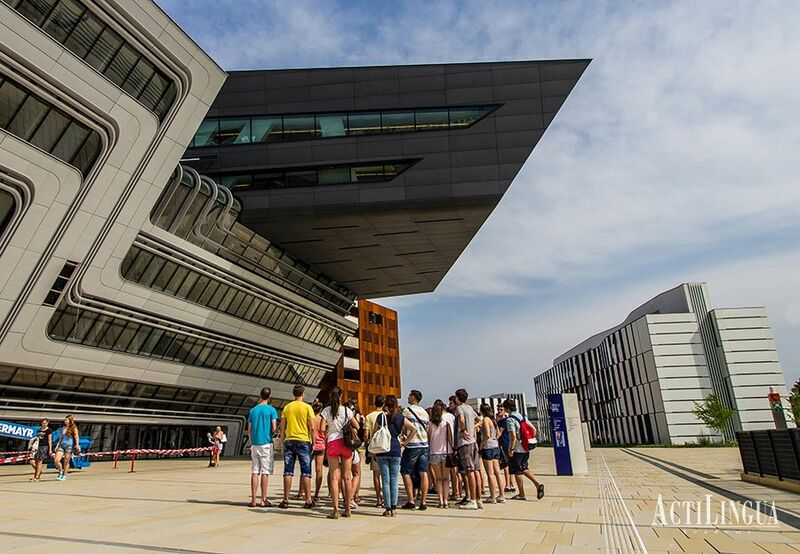 The packed activity programme and special interest classes will present a diverse view of Vienna, Austrian culture and German language. Learn new and exciting things about the daily life of the locals, their culture and the city with the highest quality of living in the world! (5 lessons per week are included in the price). Learning a new language isn&apos;t just about studying German phrases and grammar. Free evenings are perfect for discovering Vienna on your own. Our students often opt for visits to the opera, concerts, theatre or cinema. 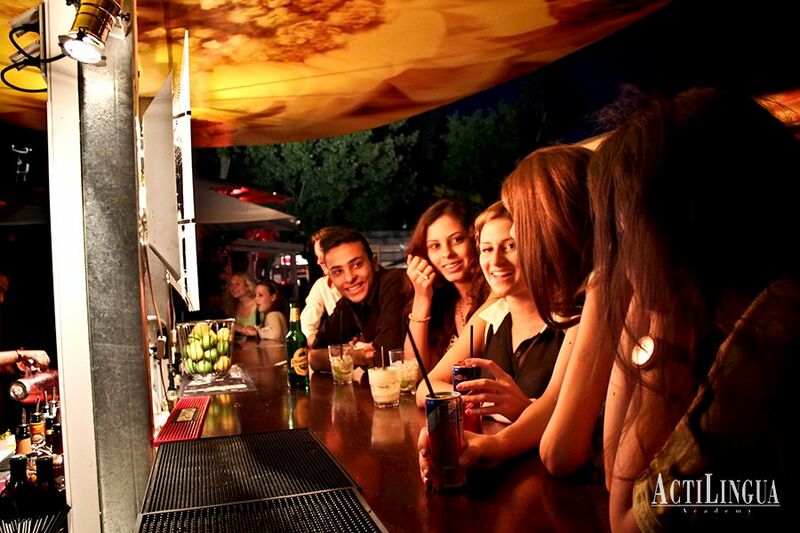 We are happy to assist you with ticket reservations and hot tips from locals on Vienna&apos;s night life. Discover Austrian culture and nature on the weekends. 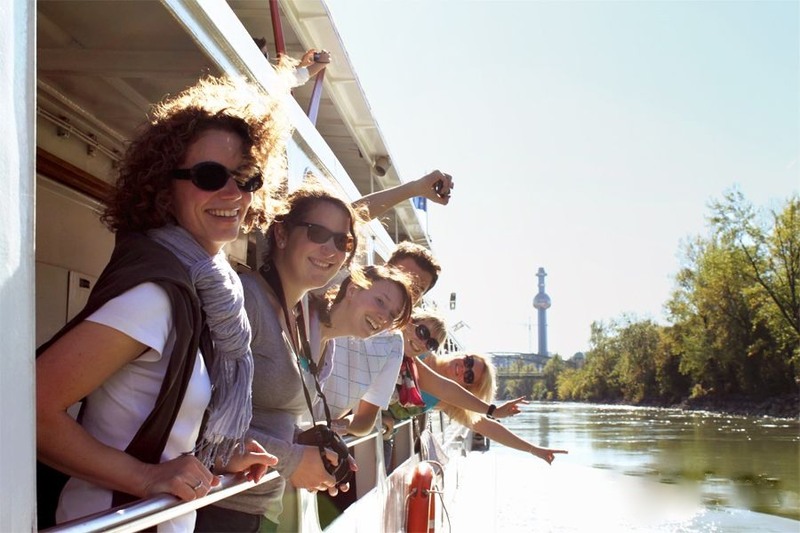 We organise trips and excursions to Salzburg (“Mozart city”), Graz (capital of Styria) and its Southern flair, Klosterneuburg (famous for its Babenberg heritage) and to “Wachau” region and Danube valley, among other desinations. We also visit the Kreuzenstein castle and Seegrotte Hinterbrühl. In summer, we swim at Lake Neusiedl and savour Austrian wine taverns (“Heuriger”). You can swim, cycle, sail, surf and waterski to your heart’s content at Vienna’s “Donauinsel” (Danube Island). Sporty students and teachers can also get together for soccer and volleyball. In winter, we organise skiing and snowboarding days. Excursions are booked and paid directly in Vienna. Parks in Vienna - green Vienna and its monuments and many more!